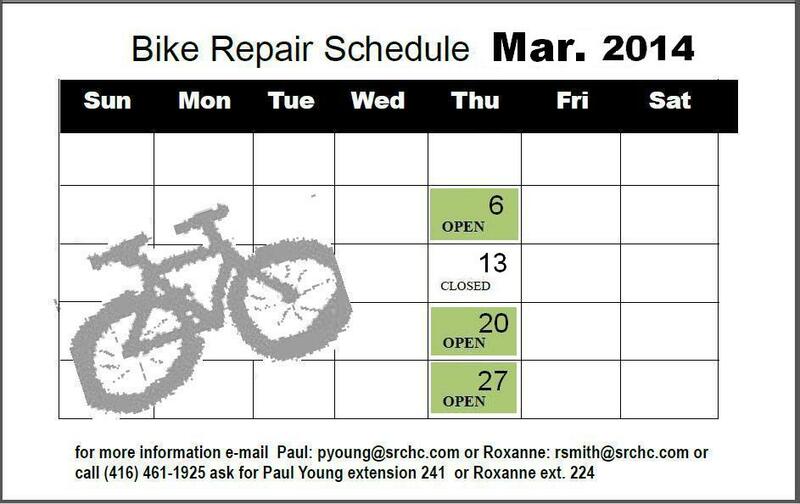 This address will update monthly with a new calendar – so bookmark this post so you can check the SRCHC Bike Repair Schedule. 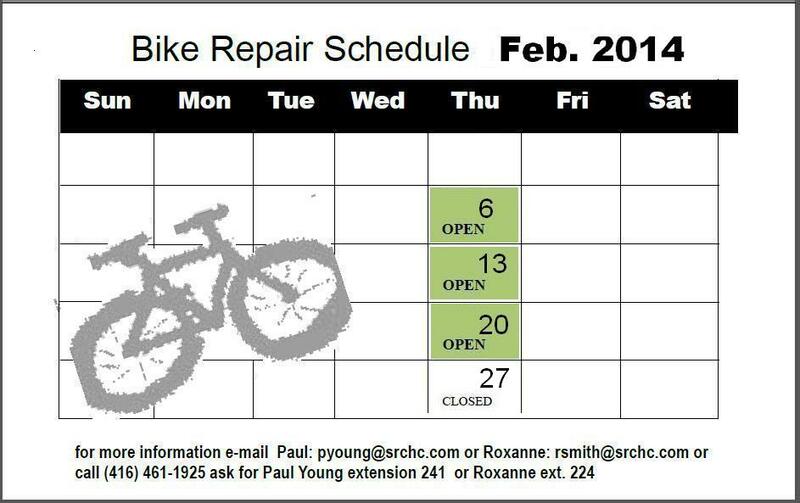 The South Riverdale Community Health Centre’s Bike Repair Clinic happens every Thursday from 1pm to 3pm in the front lobby of the Health Centre (in the front doors, to your right). 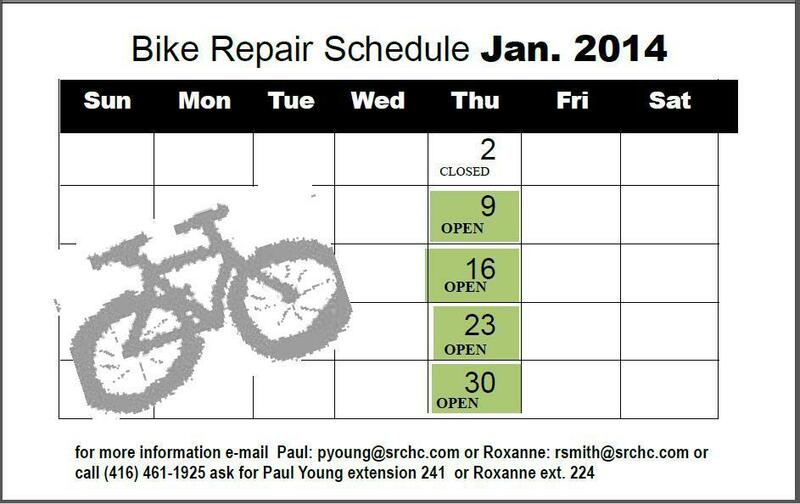 Health Centre employees Paul Young and Roxanne Smith plus a group of regular volunteers provide guidance and the tools so you can maintain your bike year-round. 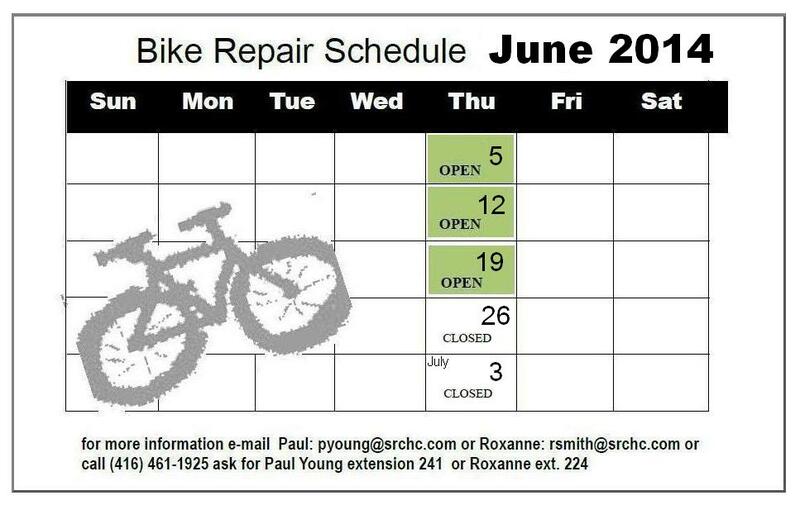 June Schedule: Open June 5th, 12th, 19th. Closed on the 26th. 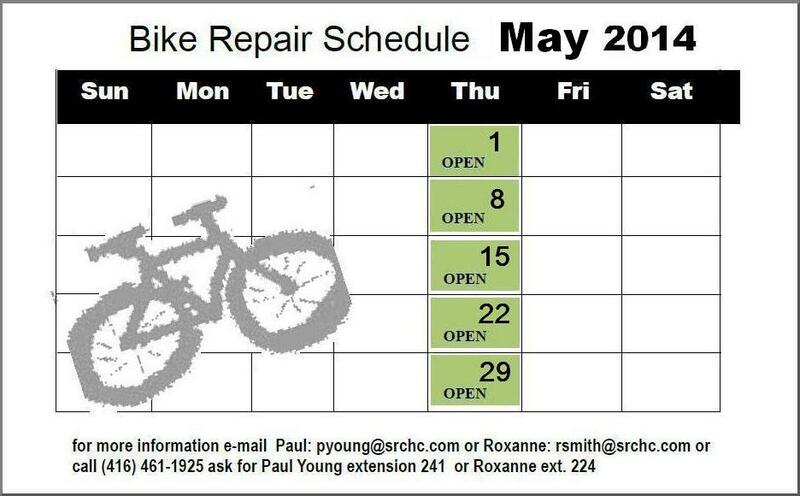 May Schedule: Open Every Thursday this Month – May 1st, 8th, 15th, 22nd and 29th. 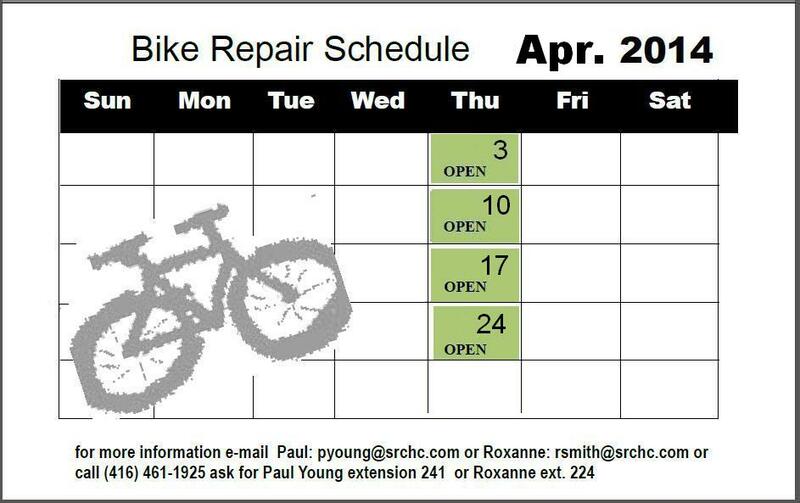 April Schedule: Open Every Thursday this Month – April 3rd, 10th, 17th, 24th! NOTE: April 24th is Earth Day 2014 at SRCHC! 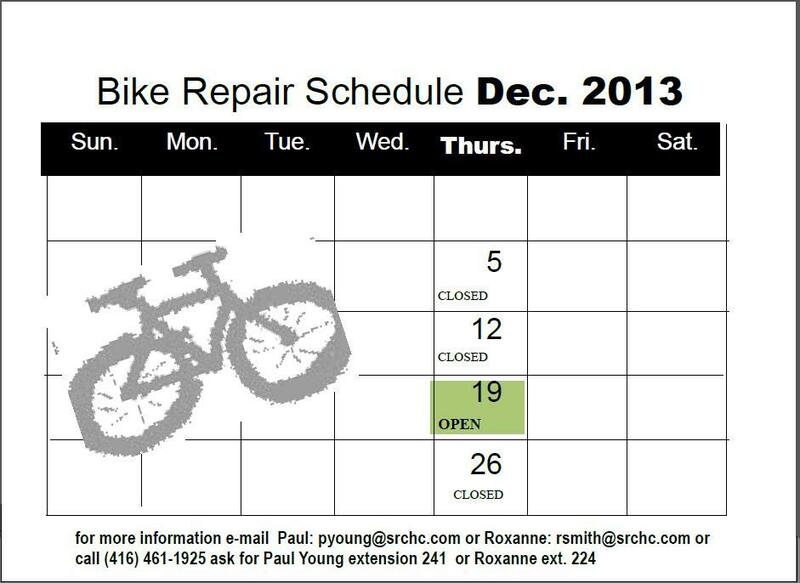 The Bike Clinic is open – AND – a whole lot more is going on that day too, from 1pm – 5pm (and even after that!) Check it out! ALL ARE WELCOME, BRING A FRIEND / NEIGHBOUR.